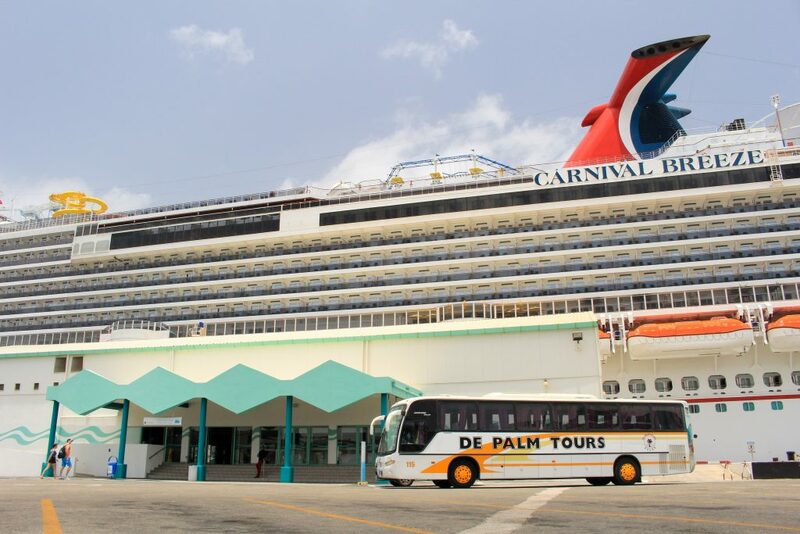 ORANJESTAD – De Palm Tours is again honored with an award for the Princess Cruises high-volume tour as well as an award for the Best Tour Guide for the 2013-2014 season. 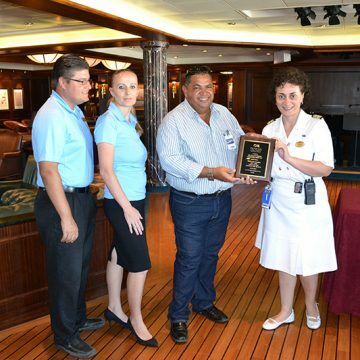 Of all the destinations that Princess Cruises goes to, De Palm Tours 4WD Baby Natural Bridge & Arashi Beach Island Tour won its high-volume tour award and Brian Morris from Atlantis Submarine was voted the Best Tour Guide. The Countryside Horseback Ride from Rancho La Ponderosa, also sold by De Palm Tours, won the low-volume tour award for the season. 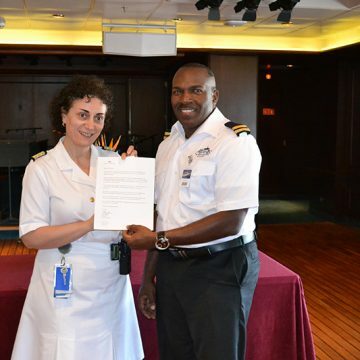 Every season, Princess Cruises holds an award ceremony for the tours and activities offered at each port that are liked most by their passengers. 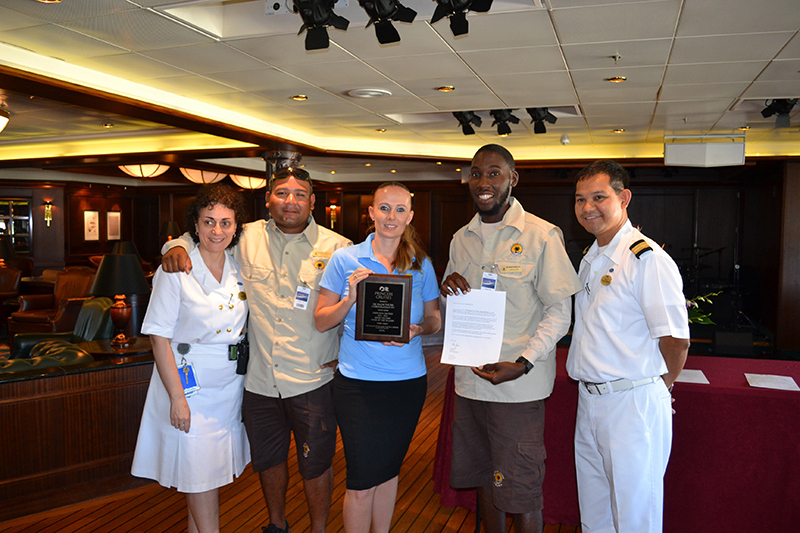 A ceremony was held aboard the Crown Princess where the De Palm Tours Corporation was honored for the awards. Passengers of Princess Cruises voted De Palm Tours’ highly acclaimed 4WD adventure and off-road jeep excursion as number one. 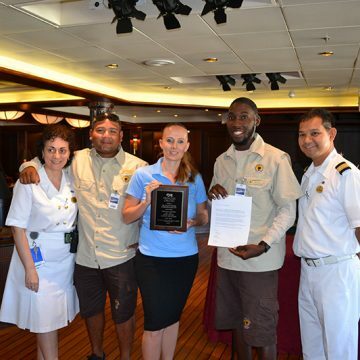 This isn’t a new celebratory moment for the company, as two times before Atlantis Submarines has been honored for the high-volume award and also their Natural Pool Jeep Adventure, not to mention the dozens of other nominations De Palm Tours has taken the cake for from other Princess Cruises tour categories. 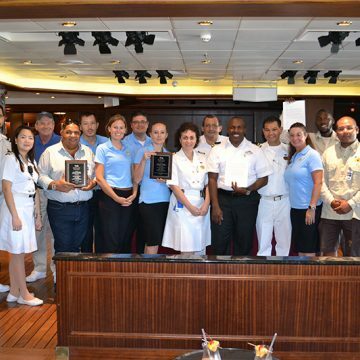 Brian Morris from Atlantis Submarine and who was awarded as best tour guide by Princess Cruises’ guests, claims that the submarine experience is a unique opportunity to explore Aruba’s waters away from the shores. One of the only commercial submarines in the Caribbean, the Atlantis VI takes passengers 135 feet below the sea surface through the Barcadera Reef, witnessing an array of colorful and abundant sea life while learning about the surrounding waters and its inhabitants. De Palm Tours’ off-road Land Rover guides combine their passion for the island and knowledge about its history to make the tours an unforgettable memory for guests as they rip through the backside of Aruba and towards beautiful Arashi Beach. The Princess Cruises line allows for its passengers to “escape completely” with eight consecutive years voted as “Best Cruise Itineraries” by Recommend Magazine. 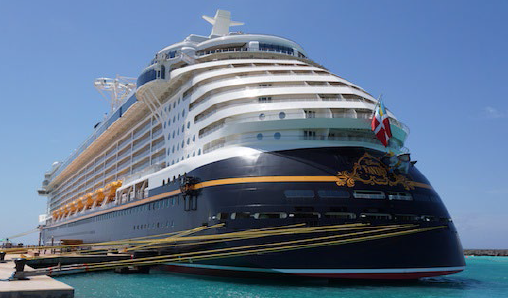 As one of the destinations on the Southern Caribbean Cruises line, Aruba is advertised as the ideal place for snorkeling where almost every inch of coastline shows off the island’s supreme waters, which guests indulge in on both the submarine tour and jeep adventure. 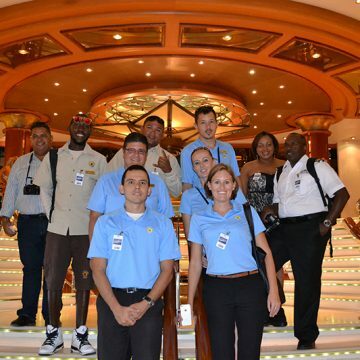 Warren Stanley, General Manager of De Palm Tours, would like to thank Princess Cruises for their continued support, but most of all the employees for taking pride in their jobs and wholeheartedly making these tours memorable experiences.